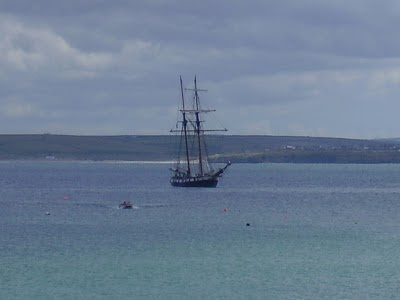 Reported in today's St Ives Times & Echo - it is the French schooner "La Recouvrance". 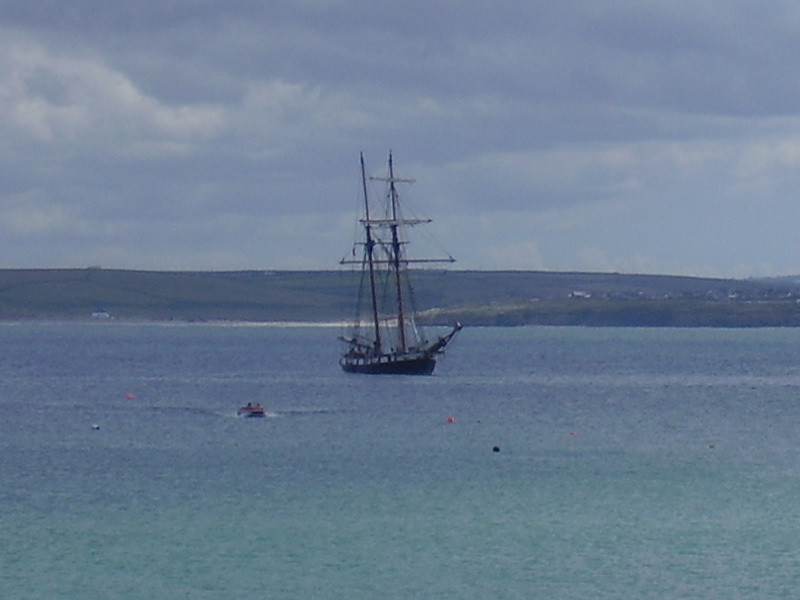 It left for Brest at 08:00 on Wednesday. Thanks - just noticed that myself in The Echo. 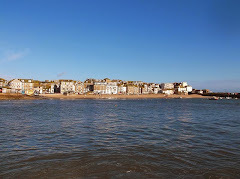 Must ring St Ives Coastwatch next time to find out !